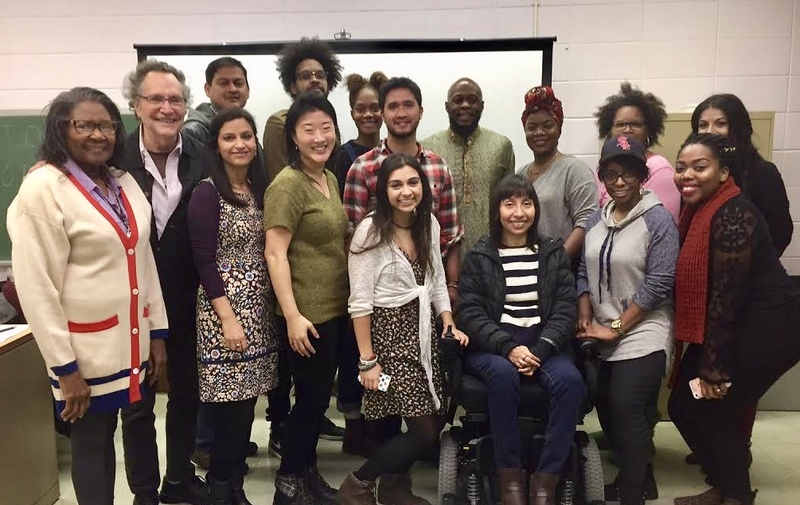 DVID is organized by Kartemquin Films and the Community Film Workshop of Chicago. The chosen cohorts receive hands-on advice from experienced Kartemquin and Community Film Workshop staff and award-winning filmmakers, before pitching to a panel of major funders, including representatives from ITVS, MacArthur Foundation, WTTW Channel 11, POV, Chicken & Egg Pictures, and Bertha BritDoc Foundation. This past November, a graduation ceremony for the 2016 DVID fellows was held at the Arclight Cinema Chicago as part of Kartemquin’s Fall Festival. Acclaimed documentarian Lyric Cabral, director of Sundance award-winning film (T)error, gave the keynote address to the class of 2016. Currently, two in-progress films from DVID fellows have become Kartemquin projects: Minding the Gap by Bing Liu and All The Queen's Horses by Kelly Richmond Pope. DVID is partially supported by a grant from the Illinois Arts Council Agency. Additional supporters include: The Academy of Motion Pictures and Sciences, Voqal Fund, The National Endowment for the Arts, The Bertha Foundation, The Seabury Foundation, the Efroymson Family Fund, Kartemquin Films and Community Film Workshop. In the past, DVID has been supported by: CityArts, The Sage Foundation, and KatLei Productions.